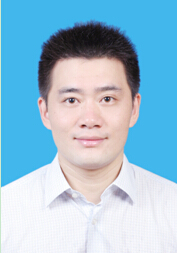 （2）Shaohua Wang, Bin Xia, Chunrong He, Sheng Zhang and Dehua Shi，Mode transition control for single-shaft parallel hybrid electric vehicle using model predictive control approach，Advances in Mechanical Engineering，2018, 10(5):1–10. （3）Shaohua Wang,Chengquan Yu,Dehua Shi,Xiaoqiang Sun，Research on Speed Optimization Strategy of Hybrid Electric Vehicle Queue Based on Particle Swarm Optimization，Mathematical Problems in Engineering，2018:1-14. （4）汪少华,李佳芯,施德华,等. 基于传动效率最优的功率分流式混合动力汽车控制[J]. 江苏大学学报：自然科学版, 2018, 39(6): 621-627. （5）Wang S, He C, Ren H, et al. Study on Power Switching Process of a Hybrid Electric Vehicle with In-Wheel Motors. Mathematical Problems in Engineering. 2016:1-7.